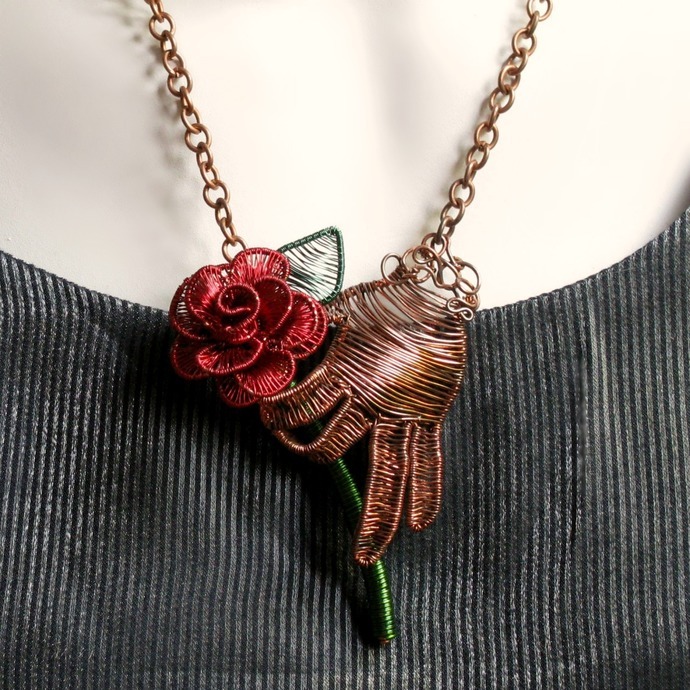 Held by a hand woven from oxidized copper wire, a woven red rose on a green stem is the star of this necklace. 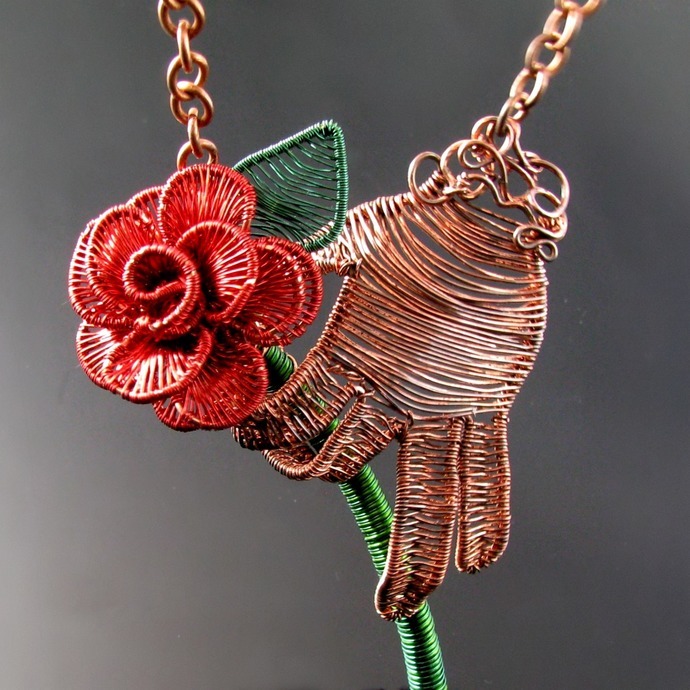 The unique and bold focal is 9.5 cm or 3 3/4 inch and comes permanently attached on an antiqued copper tone chain in a length you can choose. 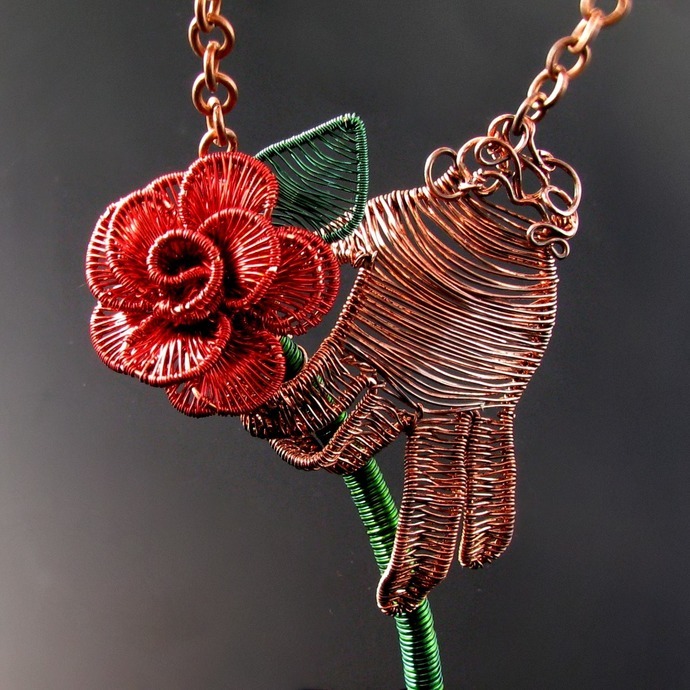 Each of my hand and rose designs is one of a kind, none will ever look exactly the same. 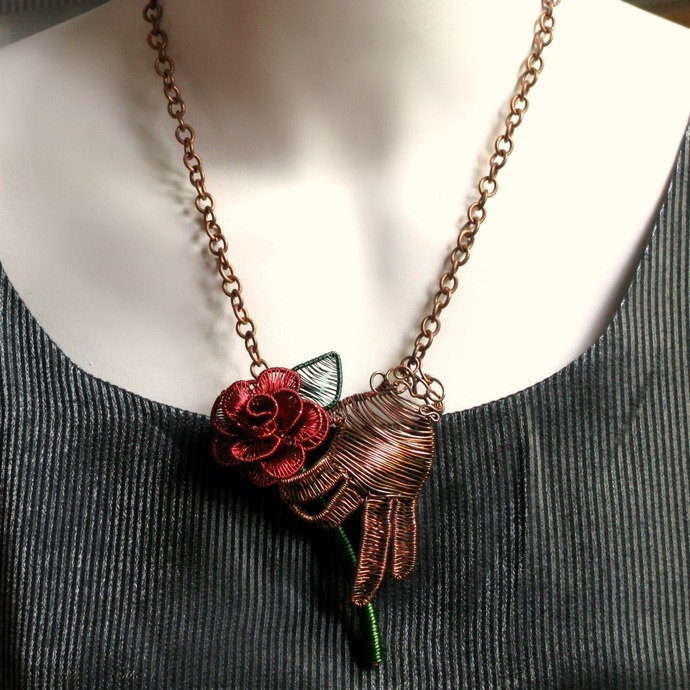 Delivery time is 3 - 5 working days after immediate receipt of payment.This information is only valid for shipping to Germany. Shipping times to other countries may vary.